After thirty years of successfully practicing law in Houston, Gene Creely will be relocating the base for his practice to Santa Fe, New Mexico. Effective January 3, 2017, Gene will become associated with the Phoenix, Arizona-based law firm of Gallagher & Kennedy. At that time, Gene will be based Santa Fe, New Mexico office, from where he will be continuing to serve clients in New Mexico, Texas and Arizona in energy, environmental, natural resources and other matters. The offices are located directly across the street from the New Mexico Capitol and close to most of the local state and federal courthouses and agencies. Following the move, Creely Law Firm PLLC’s offices will remain open for the limited purposes of concluding the firm’s business, and the offices will be closing in due course. Gene Creely wishes to thank his clients, employees and friends for their support for him and his practice in Houston over the years. Best wishes for continued success and prosperity to all. 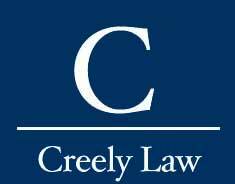 © 2016 Creely Law Firm. All Rights Reserved.